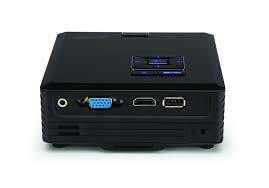 Digital Connectivity-HDMI An HDMI port delivers uncompressed digital signals and multi-channel audio, providing easy connectivity to high-quality HD broadcasts or entertainment. 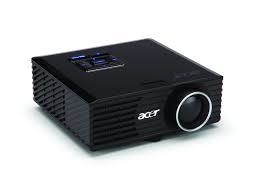 Users can simply carry the Acer K11 portable projector along with the USB drive or SD card to display whatever they want to share anywhere without a lapyop PC or a video player. The Acer K11 portable projector enables high-quality enjoyment pf portable entertainment by projecting videos/audio and photos from an iPod/iPhone using an appropriate Apple-certified A/V adapter. Acer SmartFormat Technology Conveniently supports comprehensive wide-format PC signals. Users no longer need to worry about annoying "Signal not supported" issues, nor must they change the resolution of their wide-format notebook.